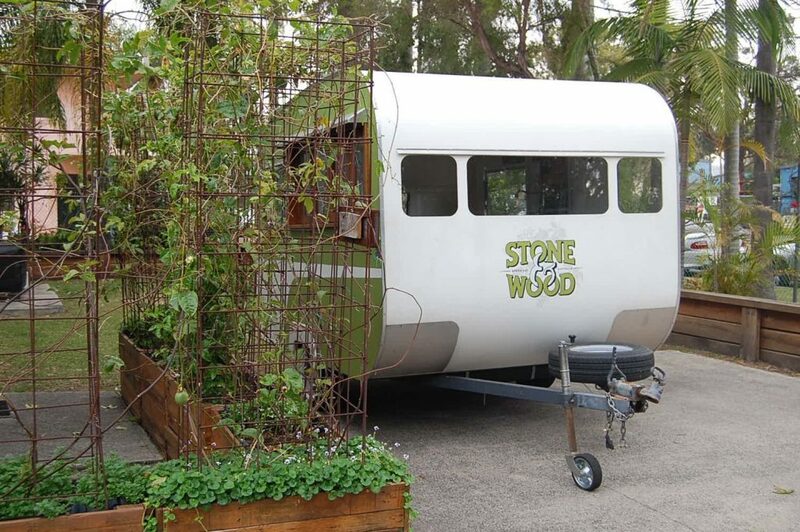 It’s no secret that Stone & Wood make fantastic beer. Not only are their brews delicious, but their values are in check, and the brand’s heart is as big as their following. 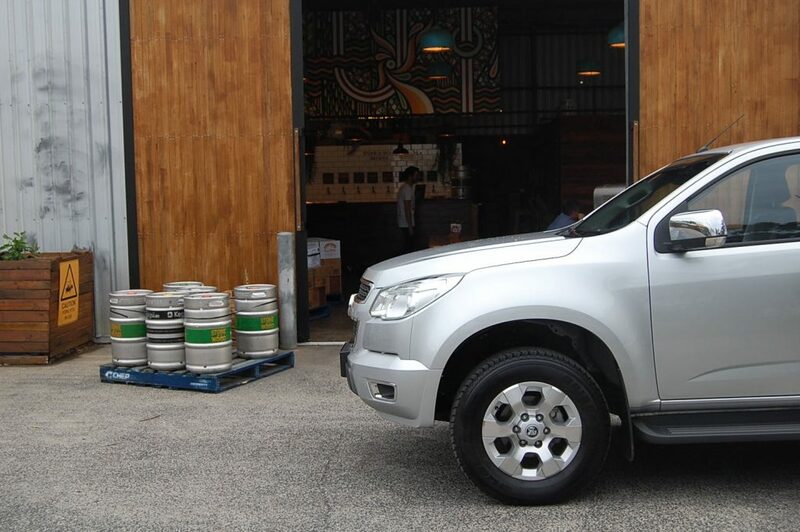 We jumped in the Holden Colorado LTZ and stopped in at the Stone & Wood Brewery in Byron Bay for a tasting & a tour. The Colorado LTZ made the drive to Byron a comfortable one, and the trip barely made a dent in the fuel gauge. 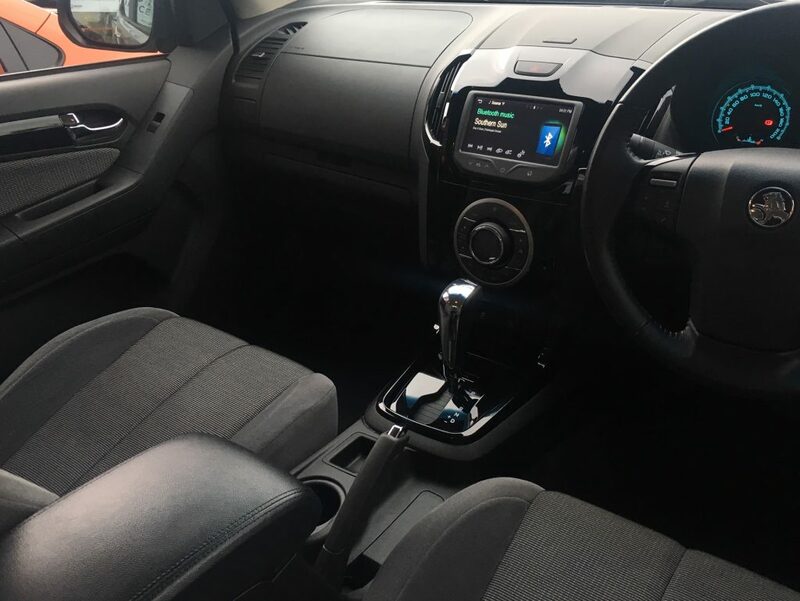 The steering wheel houses all the controls you need at your fingertips, and there’s a touch-screen infotainment system which houses apps and Siri Eyes Free mode. It can also be used to display pictures and movies from a USB, so you can show off a slideshow of your European summer to your passengers from the ultimate comfort of your Colorado. 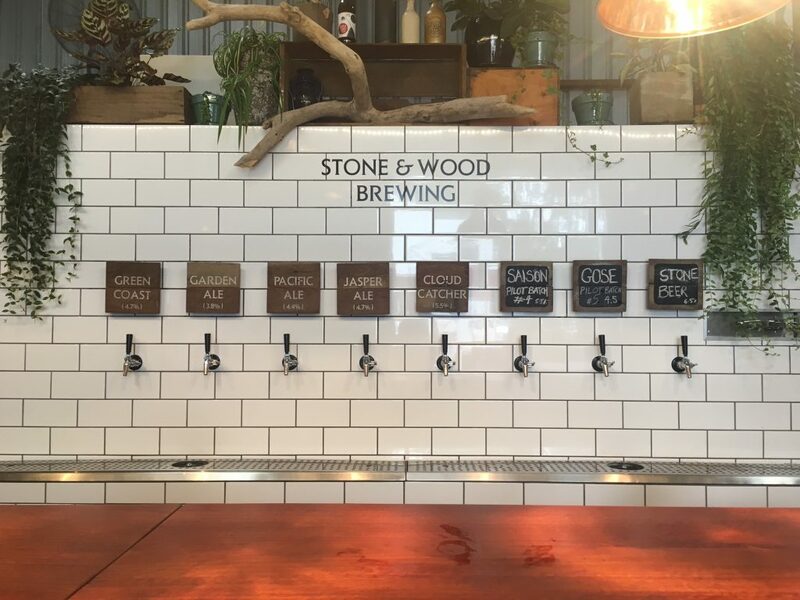 We arrived at Stone & Wood and were greeted with a friendly smile from the boys behind the bar and the smooth sounds of Boy & Bear radiating through the brewery. This really is the best way to spend a Sunday afternoon. 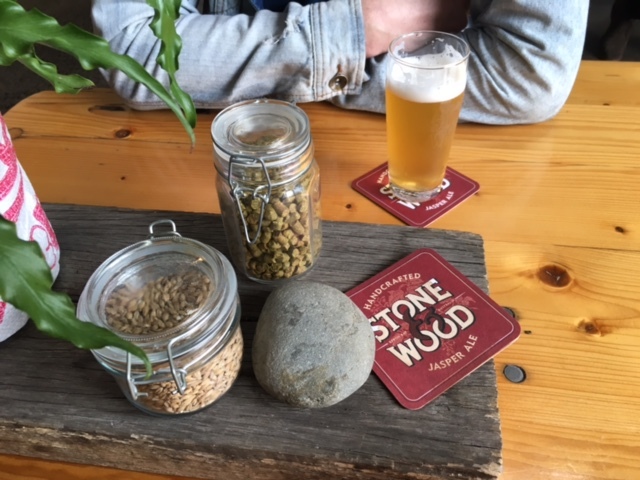 We had a bit of time to kill before our tour started so we had an excuse to enjoy the vibe and a Stone & Wood as fresh as you can get it. 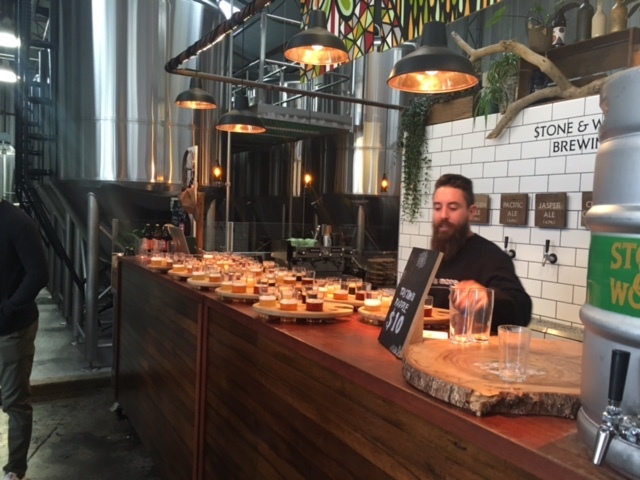 The delightfully bearded Jordan was our tour host, and he talked us through a brief history of beer, and how Stone & Wood came to be what they are today. From big corporate beer backgrounds, the three legends behind the brand are passionate about back to basics brewing while striving for sustainability through their Green Feet Program. We learnt about the brewing process, sniffed around some tightly sealed pilot batches, and met Temperamental Amy, the factory’s bottler, aptly named for her occasional bad attitude for fulfilling her duties. 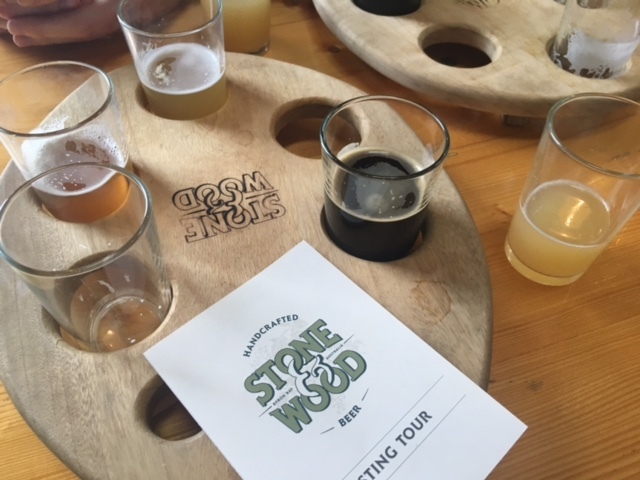 The tour concluded with a tasting paddle featuring all the favourites plus a taste of a pilot batch named Gose (pronounced Gose-uh). This German style beer is incredibly refreshing with a sour kick and is a limited release, so of course I needed to buy some. Unfortunately that was impossible but luckily there are a few select venues pouring it around Northern Rivers, the Gold Coast and Brisbane while it lasts. 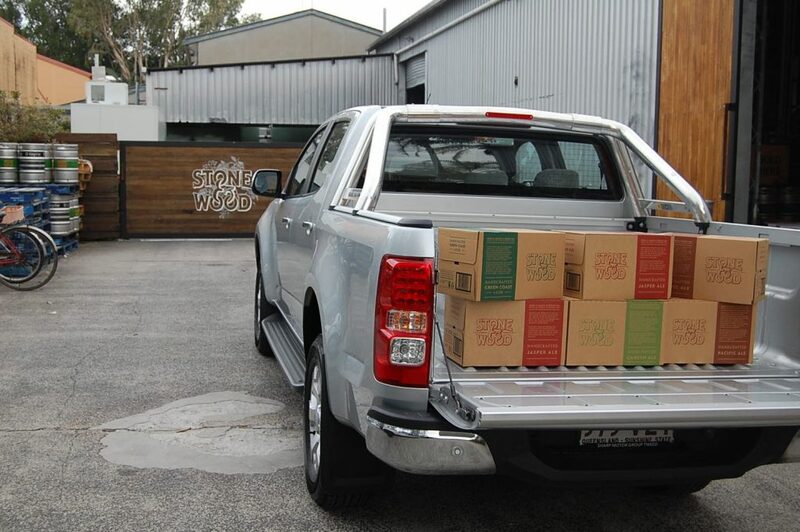 We couldn’t leave the brewery empty-handed so took the opportunity to stock up. 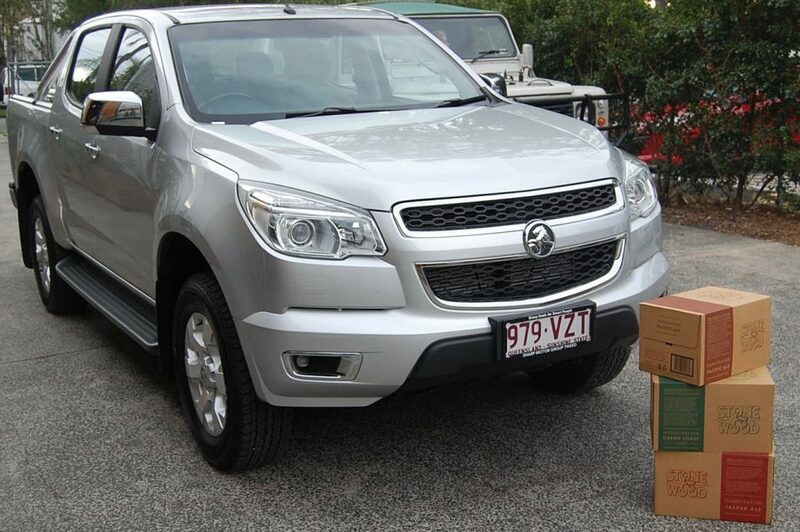 Thankfully, the Holden Colorado can safely fit two layers of Stone & Wood cartons in it’s tray, so there was no danger of spillage or casualties on the drive back to Tweed Heads. The Holden Colorado LTZ delivers unbeaten towing capacity, and the sturdy toughness you want in a utility, combined with comforts like climate control, a rear view camera and heated front seats (with leather appointed seats option). It’s tough on the outside, and soft on the inside, making it the perfect companion for work and Sunday road trips. 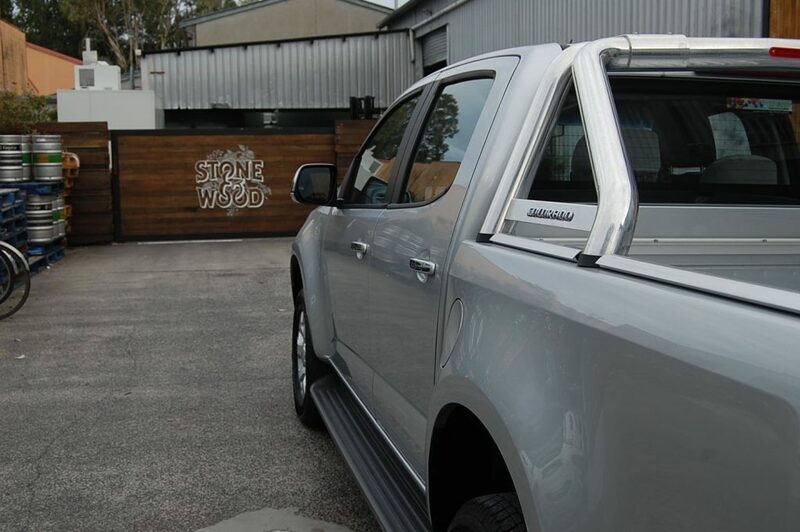 Visit the truck and the rest of our range at Tweed Holden, 153 Wharf Street, Tweed Heads. Click here if you’d like to delve into more details on the Holden Colorado.